We’ve all had those nights where we’ve tossed and turned in bed all night due to stress, pain, or the mere fact that our brain simply doesn’t feel like getting much sleep tonight. The number of people turning to massage to help with sleeplessness is growing. More and more people are turning to massage to help with their sleep habits because studies have shown massages promote deep sleep. Along with promoting better sleep, massage can alleviate pain and increase circulation in the body. Massage also produces Serotonin and Dopamine which are “feel good” hormones. This can help with those sleepless nights that are caused by a simple case of the blues. Massage also increases the number of delta waves that are in your brain. Delta waves help with deep sleep which is why people sleep so well after massages. 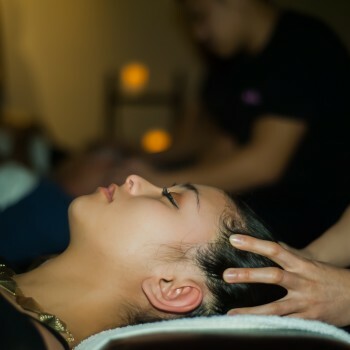 Our experienced therapists at Happy Head will tailor your massage to meet your needs and have you walking out feeling loose and ready for a great night’s sleep.